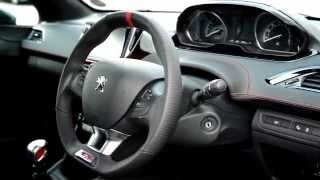 The novel concept car of Peugeot Company – Peugeot 208 GTi was unveiled under the glowing lights of the Geneva Motor Show 2012. 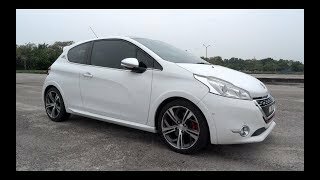 The Peugeot 208 GTi portrays its predecessor 205 and is considered as the tribute to its previous 205 model. 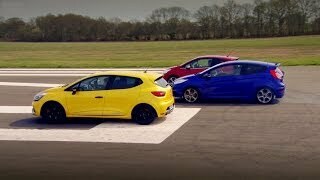 The 208 GTi is estimated to race on the roads by the end of this year. 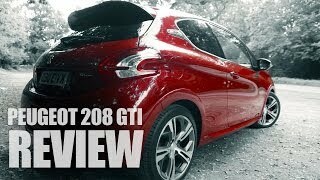 The 208 GTi is tuned up from the Peugeot 208 model to bestow more furious outlook and performance. The exterior of the GTi model has double chromed exhaust tail pipes, lower sill skirt extensions and aero lower bodywork spoilers. The artifacts in the GTi model grant additional style evolving the 208 model into a more aggressive car. The Rims are customized to confer the style and grip on the road. The glowing 18- inch alloy wheels have been fitted in the 208 GTi model to boost up the style. The brakes are tuned up to be large to give you a safe journey and to gain full control of the 208 GTi on the roads. The logo of the GTi being furnished with aluminum harks back the legendary 205 model. The Peugeot 208 GTi unveiled in the motor show was painted with purple color to give an awesome look with all the external body kits fitted with it. The GTi has also been perfectly modded beneath the hood with the 1.6- liter turbocharged diesel engine. The turbocharged engine exerts a power of 197 HP and the torque of 203 lb-ft giving you the comfort to steer around the streets of the city with ease. The 208 GTi is equipped with six speed manual transmission to pierce through the air, conferring you the pickup of 0 to 60 Kmph within 7 seconds. The interior of the GTi has been customized to deliver the experience of a sports car. The steering wheel is stitched with sports leather to ensure the grip in your hands. The steering wheel is small in size than the conventional models, which provides you the novel ergonomics while driving the 208 GTi and The external cover of the seats is stitched with Nappa leather and the centre portion of the seat is stuffed up by cloth materials and embossed with tartan motif. The head resistant is also finished with leather to bequeath you the supreme comfort of the sports cars. The fascia capping equipped inside is finished with grey stitching and the roof of the 208 GTi is entirely lined in black. All the pedals of the GTi model are made up of aluminum. Both the front and the rear lamps are modded with light signature and the rear lamp is of boomerang model. The Peugeot 208 GTi weighs nearly 100 Kg with all the enhancements in it. 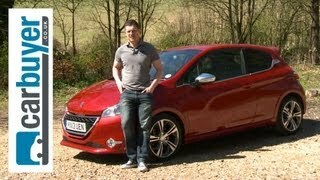 The new 208 GTi will surely stamp its foot print hard on the roads when it comes for the market.